← WildStar: Business Model Announced = Sub or C.R.E.D.D. Final Fantasy XIV: A Realm Reborn – Free Digital PC Copy Contest! Update: The contest participation window is now closed. We will be sending out the winner announcement later today! Thanks for being a part of our first big giveaway! The game officially launches on August 27, 2013, but this copy is a preorder and will get you into the world of Eorzea on August 24, 2013 instead. If you’re unfamiliar with FFXIV, the game description (from Amazon.com) is posted below – after the contest rules. What’s the catch? How do I enter? Who can win? 1. Reply to this post describing what you love most about FFXIV. 2. The response we like the best will win! 3. You will be notified this Friday, August 23, 2013 about the win and I’ll update this post so everyone can congratulate you (and rush out to buy their own copy!). I’ll email you the promotional code first, then follow-up with the preorder early access code when it ships. Best of luck and see you in Eorzea! 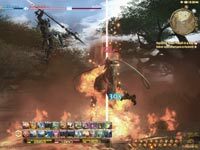 Final Fantasy XIV: A Realm Reborn is a massively multiplayer online role-playing game (MMORPG) for the PC platform that invites you to rediscover the realm of Eorzea with friends online. 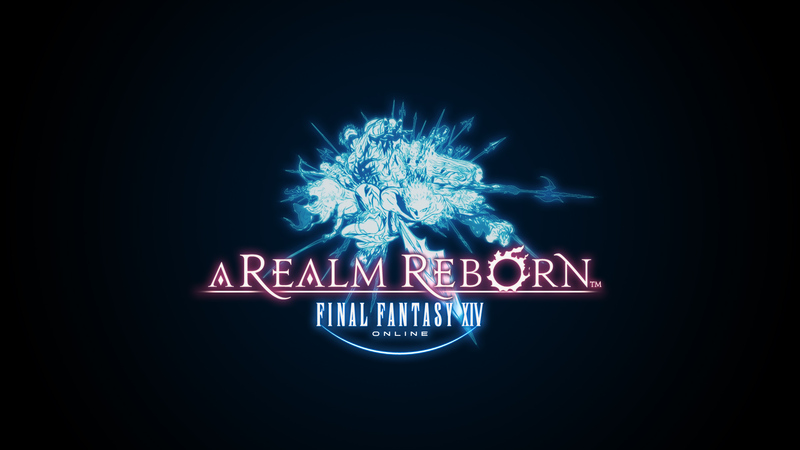 Designed as a relaunch of the 2010 PC release, Final Fantasy XIV, A Realm Reborn allows players to enjoy a true Final Fantasy flavored MMO experience the way game developer/publisher Square Enix intended. Game features include: a persistent and evolving world with immersive storylines, a flexible 18 choice class system, guild-based activities, optimized graphics, the choice of solo or group play, a breathtaking musical score, and cross-platform play with PS3 players. The realm of Eorzea is ancient, with a conflicted history marked by cycles of prosperous “Astral,” and disastrous “Umbral” eras. Past interpretations of this led many to predict that the current Astral Era would last into eternity, but now the land stands poised to enter another age of decline, a period known as the Seventh Umbral Era. On the eastern border, the Garlean Empire masses its troops for invasion, while the native beast tribes summon their deities, the otherworldly primals. The threats facing Eorzea will not easily be overcome, but overcome they must be. Final Fantasy XIV: A Realm Reborn is a massively multiplayer online role-playing game (MMORPG) that invites players to explore the realm of Eorzea with friends from around the world. 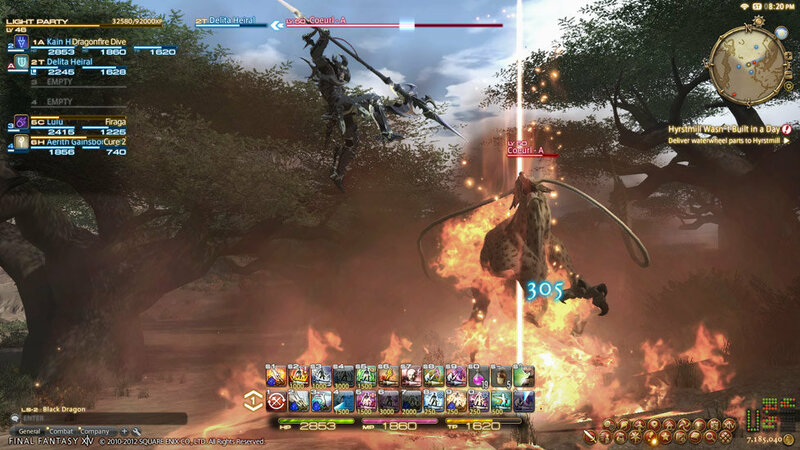 The game is an updated version of the PC game, Final Fantasy XIV, which was originally released in 2010. In it, classic Final Fantasy type themes and environments are merged with MMORPG play mechanics as you form a party and adventure with a multitude of players from across the globe. Forge friendships, mount chocobos, and board airships as you and your companions create your own unique stories in Eorzea. Set out alone or enlist the aid of friends as you undertake epic quests, battle familiar Final Fantasy monsters, and acquire unique abilities and equipment. All the classic elements from the series that you have come to know and love are waiting. Embark on the adventure of a lifetime to help reforge the fate of Eorzea. All the hallmarks of the Final Fantasy franchise, including genre-leading graphics and high-definition real-time cutscenes that advance the game’s rich storyline. Incredible new graphics engine that delivers a high level of detail and quality. A flexible class system that allows players to change to any of the eighteen different classes on the fly simply by changing their equipped weapon or tool. Breathtaking musical score by renowned Final Fantasy series composer Nobuo Uematsu. 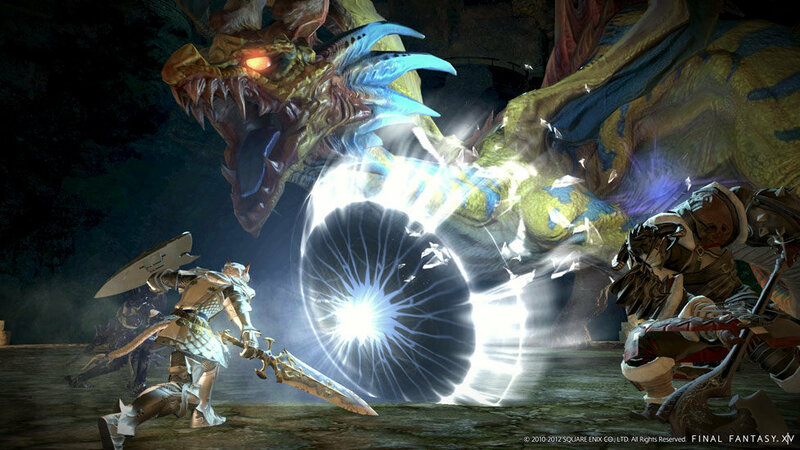 Cross platform play on Windows PC with PS3 players, and Robust gameplay features — such as Free Companies, story-driven player–Vs-player content, and primal summoning — to bring players together. PC to PS3 cross-platform play. FINAL FANTASY XIV: A Realm Reborn is a massively multiplayer online role playing game (MMORPG) for Windows piece and PlayStation3 that invites you to explore the realm of Eorzea with friends from around the world. Form a party and adventure with a multitude of players from across the globe. Forge friendships, mount chocobos, and board airships as you and your companions create your own unique stories in Eorzea. Set out alone or enlist the aid of friends as you undertake epic quests, battle familiar FINAL FANTASY monsters, and acquire unique abilities and equipment. All the classic elements from the series that you have come to know and love are waiting. 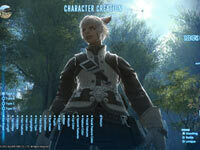 Embark on the adventure of a lifetime to help reforge the fate of Eorzea on PS3 or piece on 08.27.13. Eorzea. A Land embraced by Gods and forged by Heroes. Seeking control of this realm and its abundant crystal resources, the Garlean Empire sends forth a massive host on a campaign to conquer its southern neighbor. Driven by madness, the commander of the invading forces silently plots to tear the moon from the heavens and hurl it down upon the land. The people of the realm soon learn of this foul scheme, and join their hands in prayer in an eleventh hour attempt to entreat the aid of the gods, only to see their endeavors fail. From within the moon emerges Bahamut, an ancient terror seething with rage fueled by countless generations of imprisonment. Sensing the tug of Fate, a powerful magus channels the last of his strength to send Eorzea’s heroes into a temporal rift. There they wait, untouched by the flames of destruction, until they are needed again. Those heroes are you, and the hour of awakening is now. Come and witness a realm reborn. 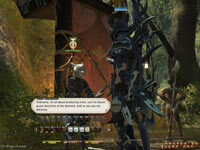 47 Responses to Final Fantasy XIV: A Realm Reborn – Free Digital PC Copy Contest! Having just finished trying the open beta, I have to say I got a lot more than I bargained for! Recently I had begun to get bored with traditional MMO’s, and FFXIV, while similar in many ways, manages to break the mold. For example, and the reason that I have actually followed the story for every quest so far, quest dialog is delivered in short sentences, much like normal JRPG’s. This makes it far more palatable than the 2-3 paragraph wall of text that other MMO’s will throw at you! Also the cut-scenes are very well done and add meat to your main story line. The second biggest lure for me, is how polished and solid the game feels. They have obviously taken their time crafting this game and it shows. The music is fantastic, the graphics and design of the individual cities is great and attention to smaller details makes a big difference. For example, the facial expression changes during the wide range of emotes available to your character, and little touches such as the classic chocobo music getting quiter or louder depending on how fast you are running. Combat is pretty standard stuff, but the spell effects are well put together, and using a controller makes it seem more action based.Speaking of the controller, the integration is perfect, it has clearly been designed from the ground up to utilise an controller, unlike games such as Tera, where it’s inclusion means controlling a mouse using the joysticks. All in all, I’m glad they remade this game. It looks like it has a very promising future and I hope to be a part of it! FFXIV makes crafting interesting, engaging, and complicated without having a high barrier of entry. MMOs have been trying (and failing) to do that for over a decade. Ridiculous. I’m definitely enjoying the crafting! I was scared that it would be too much like EverQuest 2 once I heard “minigames for crafting and mining”. I really dislike EQ2’s implementation of it; feels like I get penalized far too often. I just wish FFXIV had an auction house so I could more easily trade/sell all the gear I’m crafting. If you didn’t know the AH is unlocked during your main story mission when you get access to your retainer. The retainer acts as both a bank and your hub to sell things on the AH, but sometimes its annoying to have the places to sell and buy stuff on the AH being separate entities. The one thing I absolutely hate about the AH, which made me realize I was spoiled by GW2, is the fact that on the market you cannot buy smaller stacks than what is listed. In GW2 you were allowed to buy 1 or 2 of some item at whatever price even if the seller put up a stack of 50, but in this game you HAVE to buy the full stack or else go looking for something else. Don’t get me started that the GW2 AH is also a world wide AH, listing items that everyone in the game, not just the server, posts. Aaaah, that’s great! Thanks for the info, Darkras. What level does that open up? 15? I stopped leveling classes passed level 12 as none of my guild could get in and I wanted to level up with friends as well. Thanks again! The thing I like best about FFXIV: ARR would have to be the scenery. All the backdrops, places you can visit, and weather effects on the scenery are just jaw dropping. During the beta, i couldn’t wait for the places the story would tell me to go to! I ran off on my own sometimes too, doing to corners where the mobs were 20- 30+ levels ahead of me, and id get one-shotted, but it was definitely worth it. I cant wait till i can explore all of Eorzea! I changed my character settings so it transitions to first person view when zoomed in. It makes for some great views! I always try to break games and get to places I’m not supposed to. Its so much fun! I don’t think I’d want to break this game though. It’s too good to break. I’ve been a fan of the Final Fantasy series since the SNES era. I’ve had a chance to play FFXIV 1.0 and I’ve been in the beta tests for ARR. The number one thing I like about FFXIV ARR is that it actually feels like a Final Fantasy game. I can’t wait to see all of the little nods to past games that they have planned. I’ve played the vast majority of MMORPGs on the market, though FFXIV was my first foray into any of the Final Fantasy IP. FFXIV definitely *feels* different from the other options, even if some of the core mechanics are the same throughout the genre. I know several in my guild are going to move to FFXIV this weekend. Best of luck! I really hope you enjoy the world. So far there are a lot of throwbacks to old Final Fantasies like the Cait Sith CE pet. I think you should honestly try to play some of the popular Final Fantasies to maximize your enjoyment of the world. I just watched the new dungeon video with my GF and we were both going nuts over how many monsters they brought from the actual games to this world and we’re both super excited to go experience all of the content in the game. 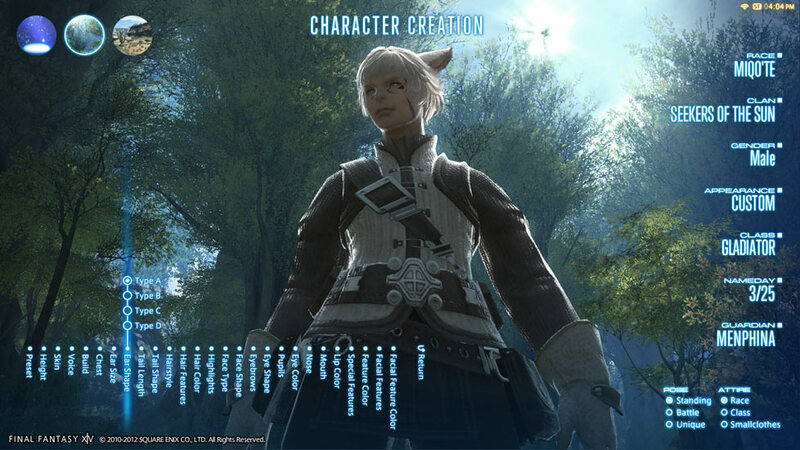 My favorite thing about FF14 and the feature I love the most is how you can be all the classes on one character. I feel that my chronic indecisiveness and neurotic worrying about making the optimal choices for myself have been alleviated by this choice game design. Usually, I’ve fretted a lot when playing other MMORPGs, wondering if I’d still like the class I chose when I get to a higher level, whether it’s truly for me, and whether I shouldn’t have just chosen X or Y or Z class instead. I know this likely sounds incredibly silly, because people make alts all the time and it’s no big deal if you find that one of your characters isn’t what you thought it would be — all you have to do is just declare a new “main” and you’re good to go! I wish I was able to do that as easily as other people, but I tend to get attached to a certain character (and, of course, to the name of that character), which makes switching pretty difficult if I decide that I another class looks more suited to me and more fun for me to play. I guess it all comes down to the fact that I originally come from the MUD scene (text-based multiplayer online games that were the predecessor of MMORPGs, if anyone doesn’t know). Back in the day when I was playing MUDs, I had only one single character I played on. I couldn’t fathom having an alt, mainly because I spend so much time and effort on my character and felt really attached (advancing skills, RPing, advancing in my class organization — all politics and organizations were player-run and thus you had to be social and aware of what was going on), and also because on the majority of MUDs, contact of any sort between alts (sending items, gold, etc.) was considered cheating and against the rules. I remember when I first started playing a graphical MMORPG and I realized that it was actually okay to send things to your alts, I was a bit shocked because I was still going by the mentality that doing anything of the sort was cheating! In the first year or so I played, I only had one character because I couldn’t make an alt. They always seemed so much less important than my main, and I always had the urge to play my main when I was on another character. However, a while later I decided to try the altoholic route and made tons of characters and such. I will admit that having all those alts made it so that I cared much less about them in general than I used to do when I had only one. Now with FF14, I have to say I’m glad I’m going back to the “one character, all my effort into this” concept. It also makes me feel good that I can do everything on one character because that alleviates my problem with worrying about the class — if I find I don’t like it anymore after leveling it up or that it wasn’t what I was expecting, I can simply switch and not have to create a whole new character — and keep all my progress and everything else I’d done on that particular character. All this also applies to professions, and I’d fret over my choice of crafting/gathering and whether the ones I chose would be useful and/or profitable for me. With FF14, I don’t need to make the choice! PS Thank you for creating this contest. I’m not a big fan of the tiniest characters either. I tend to choose the medium option. But…that mean “human” or “cat”. Usually go human for tank and something else for caster, but…argh. I don’t know! I’m a long-time Final Fantasy fan. I grew up with the series, played all of them, and enjoyed most of them thoroughly. That being said, I never had the chance to play the MMO’s that square had put out. I tried FFXIV 1.0 during the beta, died right after the opening cinematic, could not figure out how to release from death, and then uninstalled the game claiming it was trash. I’d heard what Square-Enix was doing and saw the end cinematic of FFXIV, and was astonished that they cared about their customers, and integrity of their product enough to reboot the entire thing, offering it to the people who had played the original free of charge. In all my years of following gaming, I’d never heard of such a thing happening, but I’m not surprised that Square-Enix are the ones to do it. The number one reason I was intrigued on trying FFXIV:ARR is because of the sole decision to recreate the game. Fast forward a little bit, and I got in the beta during the second phase. I tried it then, and again didn’t make it past level 5 before dismissing it as trash and not my style. This was upsetting to me, because I really wanted to give them my money for the product that they were so evidently passionate about. I’d followed the games progress, looked at the decisions made and the kind of gameplay they had to offer, and it all seemed way too generic and uninteresting; it just wasn’t for me. I had zero intention of looking at the game again til this final beta weekend, where I opted to give it one final chance. It started slow, but I kept at it this time, determined to find out why this game appeared magical to other Final Fantasy fans. I made it through the Friday night not feeling much different then I had in the past, and wasn’t tempted to play much the following day but am I glad I did. As I progressed through the game on Saturday, the story hit me like a ton of bricks and hearing some of the songs during the very well presented cinematics brought back some nostalgia-c nerd chills. I then traveled form Ul’dah to Limsa Lominsa, and in my 15 years of MMO’ing, had i never seen a city as beautiful as LL. The game started coming together for me, my first class hit level 20 so I picked up a completely different roll and tried it out. The dungeons seemed well-tuned and perfect in length, and at the risk of repeating myself, the story is just fantastic. The whole world feels like a final fantasy game, from the writing, to the character development, to the evident bad guys, and everything in between. I love it. I’m glad you decided to stick it out – even years later! It’s great when you have a close friend, significant other, partner, guildy, etc. who gets to enjoy the game along with you. Years ago when I was dating long distance, being able to see each other in game a few times a week gave us a chance to enjoy the companionship and the content challenges together. As a long time player of MMOs, I was really surprised by how much I enjoyed the Crafting and Gathering classes. Other games have tried changing how crafting is done but it always ended up being the same thing. Click a button, craft the item, done…It’s all rather boring. In ARR, having abilities and durability and a High Quality progress bar makes it more of a mini-game of sorts, use your energy wisely and you can have an item that lasts much longer than the original product would have. And when you get into using multiple crafting classes, having the ability to share certain abilities between them is amazing. In other games, I would find myself just grinding through crafting, mindlessly clicking the button, heck even watching something on a different screen until it was complete. In ARR I found myself doing nothing but crafting during one of the Phase 3 weekends, and when Open Beta started they changed certain aspects about crafting that was bugging me. Like now we are able to mass produce items and that is just great for me. Gathering classes are a refreshing twist too, sure there’s only 3 of them, but Mining and Botany both have their own rewards. Being able to select which item you want to mine/harvest was a very nice surprise when I first picked up a DoL class (I’m looking at you Lightning shards) saving me time and frustration. Having resource nodes that respawn after you gather from others is a nice change too, and having your OWN NODES is just brilliant. I never thought I would LIKE Gathering in a game but I certainly do in ARR. Both DoH and DoL classes are rewarding, use your skills wisely and you get rewarded for it. I’m surprised other games haven’t thought of it sooner honestly. So yes, it is my favorite part of ARR, I love everything else in the game don’t get me wrong, I love the races, the classes, landscape, quests (guildleves too), dungeons, duty finder, minions that don’t take up bag space, first person view when zoomed in, Artifact Gear, multiple classes/jobs on ONE character..My god the list goes on and on but it all boils down to the fact that I love the game and I cannot wait to play it come release day. How can we mass produce items? I didn’t see any way to tell it I wanted to make more than one item at a time. I tried using the ^ to add more than one set of items in the synthesize UI, but it did nothing. Can you explain that part, Mitchell? I definitely was surprised by the node selection options in Mining. Do I want to go for that 50% and use a buff to boost it to 65% AND get a lot more xp – or – go for something easier (but that I already have plenty of) and get guaranteed XP? I liked that choice a lot. Aaah, thanks! I only got to level 8 in my crafting so that explains why I never saw the option. What I like most about FFXIV… That is a hard question to answer. I like most everything about the game. The graphics are amazing. The game play is smooth and enjoyable. The crafting is a hige improvement over FFXI. The classes are fun and easy to understand. I would have to say though, that the thing I like the most are the people. Final Fantasy, to me, is different than any MMO. The community is great. You never feel like people are going to jump all over you if you have a question. People are always willing to help if you are having trouble getting something done. FFXI was that way and FFXIV is following suit. Yes you have your trolls but as a whole the people are what makes the game for me. I started playing FFXI a little late in the game but i had no trouble finding people willing to help me out and I hope to be able to do the same for other with FFXIV. You already saw the community band together with the 3102 error (which I encountered and was stuck in limbo for over 24 hours). Not only did they stick together but they had a sense of humor about it. There are already signatures saying “3102 Survivor”. In my opinion, Final Fantasy players are unlike any other MMO players. We understand each other. We don’t find it odd to talk about Chocobo’s and jobs and crafting for hours on end. We share in each other’s joy when someone finally hits the level they have been aiming for, or beats that boss that has been giving them trouble. We find friends that we otherwise would have never known and that to me is the real reason I play the game. I was mentioning something similar to my guildies: FFXIV feels unique in the MMORPG space, despite having all the basics of an MMORPG covered. I’m really excited to see how I can mix and match skills to optimize my Conjurer! I did notice that the community seemed like it was more generous and encouraging. I did see some gold seller spam (*shakes fists*), but the community on several of the servers I joined was active, chatty (which I really like), and plenty of vets were offering suggestions. I like the quest lines very much, and keep me very occupied. For example, I go do my story quest for my job, and along the way, I cant resist to click on the exclamation marks that I pass along. So I end up doing 5 side quests with follow up before I even get to start the main quest. In this way, the game is very captivating for me because I am a first time MMO player and usually don’t know where to go and stuff. My friends talked me into it and as soon as I started playing my Lalafel, the nostalgia from Final Fantasy Crystal Chronicles (Ring of Fates and Echoes of Time) from the NDS swept me away. I was like playing that 4- player game, but except with a bunch of other people. I was really happy to see a ton of quests available. I’ve never been able to stay interested in games like Elder Scrolls because the sandbox has too little structure for me. Hard to say. There was a lot I liked about Final Fantasy XIV and I’m definitely willing to give it a try. I’m coming from years and years of playing and getting tired of World of Warcraft. 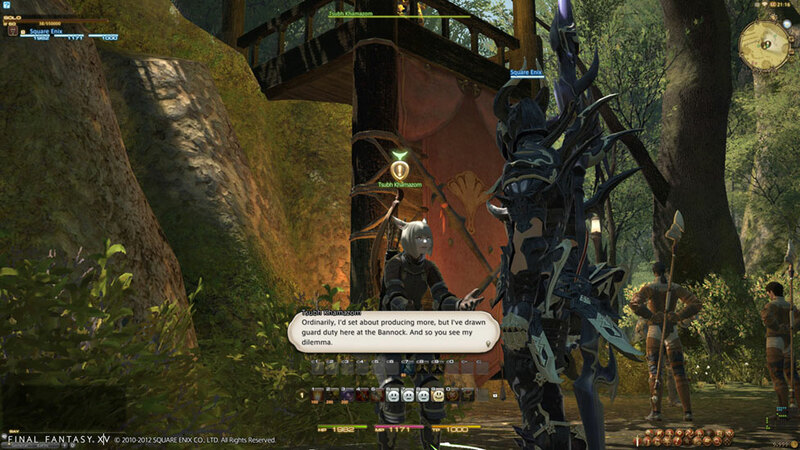 Final Fantasy XIV seems very similar in some ways to World of Warcraft, but makes some adjustments that I really like. First off I love the classic Final Fantasy sounds and homages. The environment and characters are gorgeous! It was amazing to explore this new world as a roegadyn arcanist. The casting is fun, the job system is everything I want out of a class system, and I just like the overall feel of the game. The FATE system that is very much like the Guild Wars 2 global events is a great idea that I’m happy to see implemented. Overall I was really impressed with Final Fantasy XIV and hope to try it out some more. But with the good there was the bad. Arcanist at the time was a bit easy since it had damage, healing, and never ran out of MP with it’s insane MP regen. Though I wasn’t very high level so I can’t say that’s true all the way through. I was also very unhappy with the tons of fetch quests you start off doing instead of being thrust into the action. Getting to level four without leaving the city and without killing anything was very frustrating to me. I kept itching to kill something because I felt like I was falling behind or not being productive to be or something. My friend actually didn’t get much of a chance to play this past weekend due to the inability to create characters on my server. However he tried to create a character on a test server, he texted me that he was pissed because the game put him through a 30 min cutscene, he got to move about 1 min, then he got stuck with talking to the first quest guy again and then he logged. So I guess the beginning is not for ones with short attention spans hah. Yeah, you STILL can’t skip the opening in the caravan since he asks a question and that determines the ring you receive, but after your first time through – you can skip the “city walkthrough” cutscene at least. Honestly I think the best thing I liked about this MMO is the music. Super classic Final Fantasy music. That and the crafting system that brings me back to the Vanguard days and the gathering system which has something addicting even if it seems monotonous. I never did play Vanguard. Why was that gathering system so addictive? At the time it was the most unique system that was ever created imo. It was broken up into three stages that mimicked what you would actually have to do to craft something. IE if you were crafting a sword you would have to go through smelting, shaping, then assembling the item. Essentially the progress and HQ portion of the FFXIV crafting mini game is the same, where you have a limited amount of steps to create the item, limited by what they called action points, and the HQ portion was covered by the different grades of items that were achievable. However in Vanguard, there was another interesting portion that was included. There was a chance that complications would occur, which would negatively impact your ability to progress through crafting and would sometimes lower the quality of the item. These complications usually lasted a set amount of turns and depending on the complication you could choose to either remedy it or continue. IIRC complications could pop up at any stage, but did not carry over to the next stage so you would have to make a call on what you want to do. You would of course have to weigh the choices of wasting your action points (durability) or taking the hit to whatever the complication did. Another thing that vanguard did that so far no other mmo did, was sort of related to the crafting leves that FFXIV has. Instead of spamming items and potentially flooding markets with low level crafted items, they introduced work orders where you completed specific jobs for crafting experience. These two aspects of their crafting system were just so new, interesting and different to me that I just fell in love with their system. All in all the FFXIV crafting system is essentially an easier version of the Vanguard system, which is a good and a bad thing. Good because complications were annoyingly random, and bad because they always made each crafting experience exciting. First off, thanks for the contest. I neglected to pre-order the game for reasons that I’ll get to later, so I really appreciate the opportunity you’re presenting here. Anyhoo, for me, the answer’s gotta be the community. I’ve played more than my fair share of MMOs over the years, and while many have had strong communities (particularly CoH), I don’t think I’ve ever encountered a game in the genre where the people were so friendly. For starters, early on in my experience over the weekend I had a difficult time navigating via the in-game map, and I admittedly began to get frustrated. That’s when it hit me: You’re surrounded by other players, you dope! Ask! Upon putting out the call for assistance I was almost immediately inundated with replies from people telling me where I needed to go to find this elusive “Seseroga” character in Ul’Dah. What’s more, though, was that I didn’t get one cynical or snarky response to the inquiry. Everyone couldn’t have been nicer or more understanding, in fact. Now let me tell you, coming from someone who played the original EverQuest and World of Warcraft, this was a huge breath of fresh air. No chastisements of “newbie” or declarations for me to shut up and use the map. Just straightforward but pleasant answers. But the good vibes didn’t end there. While soloing in the newbie zones, twice I thought I’d bitten off more than I could chew, and twice I was saved by random passersby. Grouping, too, was more than just teaming up to earn experience. Just chatting was a delight. I talked with people in groups about everything from their home state to their favorite anime! It was like almost everyone I met was an old friend. And finally, as a girl who uses a female avatar, it was a small blessing to not have one awkward or inappropriate comment made about my character’s appearance. So, yeah: definitely the community. While I was immediately blown away by the music, graphics, and sheer depth of the character creation process, once I got into the world of Eorzea my memories of rude and juvenile players in past MMOs instantly reminded me of why I’ve gradually distanced myself from the genre. After having such a great experience over the weekend, however, I’ve actually gone from applying to the beta on a whim to counting down the days now for when I get to play again. And that’s not because I can’t wait to max out my character and show off my uberness. It’s because I’m anxious to see and speak with all the people I’ve already met, and the friends I’ve yet to make. Community is what really makes these games special, and I have to give it to FFXIV: in one weekend, its player base has gone a long way in helping to restore my passion for the genre. Thanks for the share! I love rolling main healer so I can buff and heal folks as I’m running by. 🙂 I did find a couple snarky responses when I asked for help in general chat, but overall folks were very nice. I think part of that is the “anime” vibe attracts nicer folk. Anime fans are a friendly lot, aren’t we? You might be onto something there. I think I’ve read that the original FF mmos were so newbie unfriendly that the only source of help was the community. Without the other people, you would be lost without knowing what to do and how to do it. Thus most people took to helping each other because that was essentially the only way to get through the game. I think that mentality may have just carried over as there are a lot of returning vets to the restart. I never played FFXI; I was knee-deep in EverQuest at the time, unfortunately. I do remember hearing, however, that the game was somewhat… unrefined? It’s an interesting theory, though, that it’s just the old guard doing what they’ve been doing for years now: helping newbies out. Either way, I was thrilled with what appeared to be the predominant attitude amongst the players in the beta, and I’m pretty optimistic that it will likewise carry over to retail. The thing that i like most about FFXIV isnt necessarily anything to do with the game itself, but more what it represents to me. When FFXIV came out, it was possibly one of the most deeply flawed things SquareEnix has done in its entire history, in my opinion. The coding was poor, and the overall game design left many things to be desired. SquareEnix realized these things early on, and did something that game companies do all too rarely. They admitted they made huge mistakes. Even more admirable to me, is that instead of just shutting the doors on the original FFXIV, they continued to improve the game without charging the current players a subscription fee, while at the same time, putting massive time, energy, and money into remaking the game. So now, here we are, with A Realm Reborn, a game that through the beta testing thus far, looks brilliant, is significantly less technically demanding on the user’s PC, and from what i can see so far, it feels like i finally have a worthy successor to FFXI. Obviously I’ve heard about FFXIV 1.0, but I never played it (was too busy with a ton of other MMORPGs). Except for the serious issues with tens of thousands of North American players getting locked out during open beta, the game for me ran well so I had no complaints. That said, it’s great to see folks who were in 1.0 looking at 2.0 and feeling like Square Enix has redeemed itself. That means the title has executed well the majority of what it set out to accomplish. I’m sure this will sound incredibly cliché, but so far the thing that I love the most about A Realm Reborn is that it looks, sounds, and feels like a proper Final Fantasy game FIRST, with SquareEnix’s new MMO game system threaded and laced through it AFTER the fact. The amount of care, precision, and attention to detail put into every single aspect of the little bit I’ve played so far is unreal. Although it was my first time with the game, I felt like I was completely enveloped in a proper Final Fantasy game as soon as the start menu came up and blew me away with one of the best opening CG’s I’ve ever seen. Although the “this hero’s journey starts here” / “…story is unwritten” is par for the course, it’s incredible how they pulled me in and made me feel like part of the game. Add the facts that, although I was completely new to the game, I never once felt like I was stumbling through town or getting frustrated with the massive amount of unknown, and how I felt like the combat system has the potential to be my favorite of all time, and, well… hopefully I’ll continue to be part of this world for as long as possible. Clichés are there for a reason! 🙂 As I mentioned in another reply, it feels like Final Fantasy to me – unique from the other MMORPG offerings out there which is why I’m attracted to the title. Thanks for the share, Nate. The dungeons and FATE system are both terrific addition’s to FF XIV ARR. FF XI taught the importance of team play and I think these new addition’s will further encourage that. The greatest moment I have ever had in any mmo was simple grinding in a group in FF XI. Everyone coming together and really locking in on the battle plan was a great feeling. I can’t wait to add to these memory’s here in FF XIV ARR. what time is the announcement? trying to plan out my mad dash gamestop run lol. Announcement is in about 10 minutes! 🙂 We’re contemplating doing some “extra rewarding”.